Great item for rolling water accident victims into a boat. Quick, easy and simple. Reduces the chance of a rescuer falling into the water. 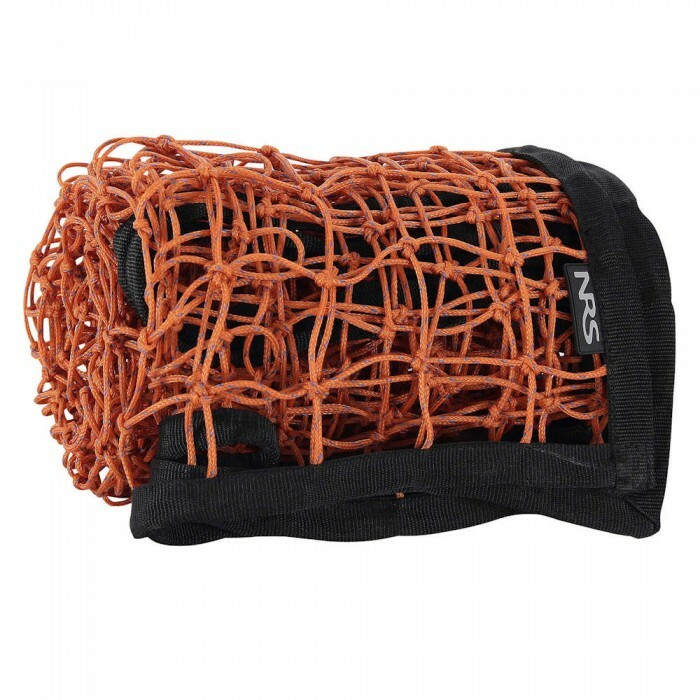 Our cargo net is one of the most versatile rafting accessories on the river. 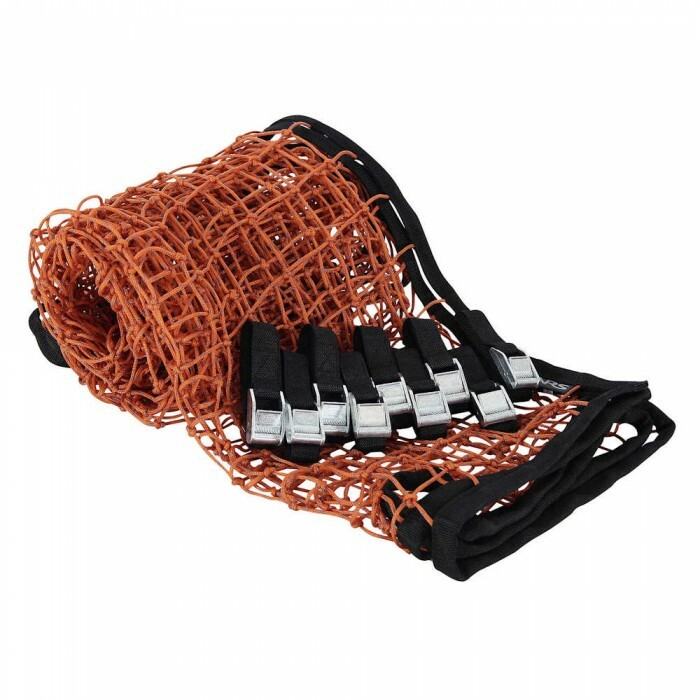 It can be secured over the top of your load to keep gear in the boat, or hung between two crossbars to create a cradle for loose gear. 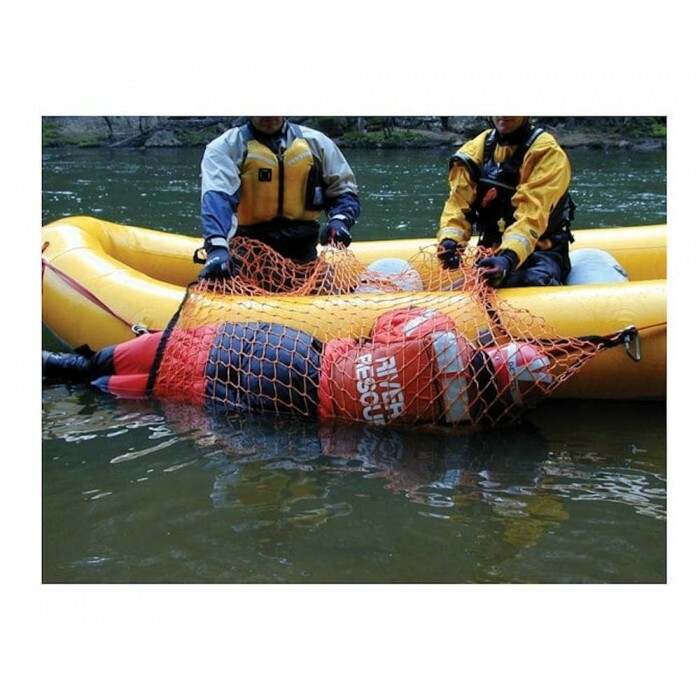 The use of a net makes it a snap to remove a patient from the water thanks to the 2:1 mechanical advantage created by rolling the patient aboard. You only have to lift one half of the patient’s weight. Built with a border of 2" webbing for strength and strap-on points for securing miscellaneous gear. Sizes: Small: 60" x 80" and Large: 70" x 90"
The Cargo Nets come with or without straps. The Straps Included option comes with nine 4' black straps. Also can be used as a cargo tie down net. 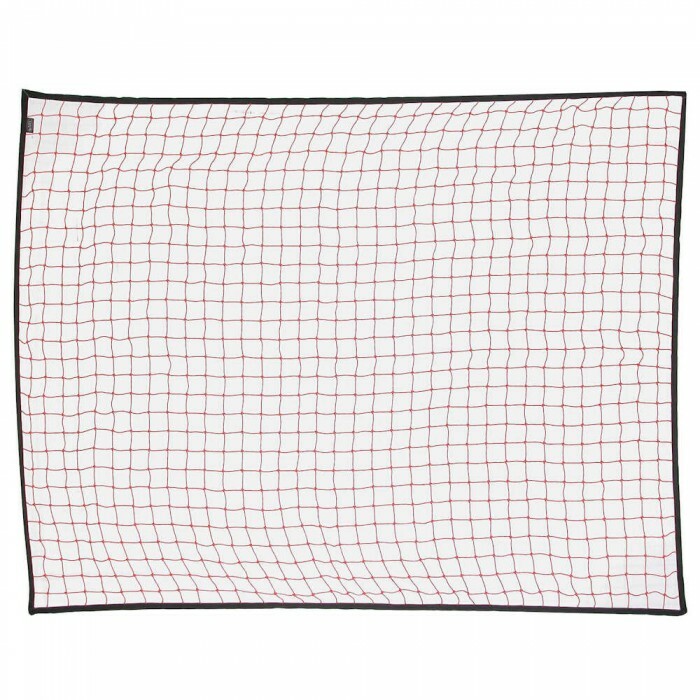 1800 Standard/Small: 60" x 80"
1801 Large: 70" x 90"
2.5" mesh, bordered with 2" webbing.